The Bell Pepper (Capsicum annuum) is also known as the Sweet Pepper or Capsicum and is originally native to the Americas. As its name suggests, it is sweet rather than spicy. This is because it does not produce capsaicin, the chemical that creates a strong burning sensation that makes the other members of the family such as chillies taste 'hot'. Botanically speaking, like tomatoes, bell peppers are fruits. However, when cooking they are considered a vegetable and despite their sweet taste no one is going to thank you for adding them to the apple crumble! They come in green, red, yellow, orange, brown, white, purple, lavender and black. Red peppers are ripened green peppers, the exception being the Permagreen pepper which is still green when ripe and will never turn red. The sweetness of the pepper depends on growing conditions and how much it has been allowed to ripen. So a ripe red pepper will be sweeter than the less ripe green one. Peppers that have ripened on the plant will also be sweeter than those that were picked and allowed to ripen after. Not something you can change when buying them but if you grow your own then you can ensure they are as sweet as possible by leaving them to ripen on the plant. There are many varieties but I would choose a hardy, early variety such as Yellow Monster or Lipstick to get the best results. Peppers are easy to grow from seed and have a high germination rate. 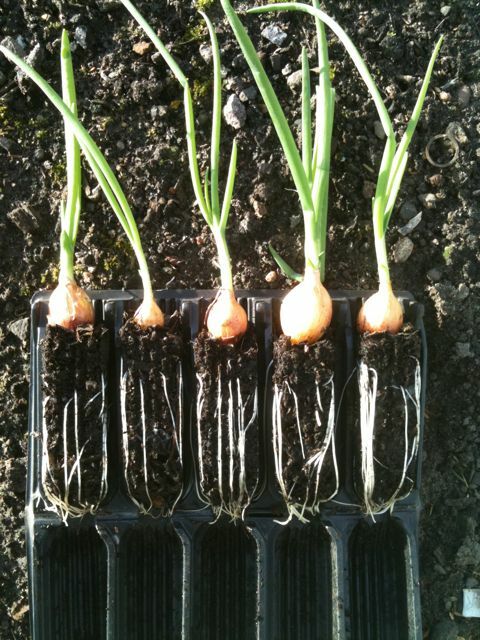 Sow seeds 1/2" (1cm) deep inside in Rootrainers, pots or seed trays from mid-February to end of March. They will take 2-4 weeks to germinate. Peppers like it warm so so use a propagator and aim for a temperature of around 18-21°C (65-70°F) or place on a warm windowsill, with plastic bags over the pots to keep the heat and moisture in. Of course if you have used Rootrainers then they come with their own lid so you can just pop this on for the perfect environment. Transplant into 3" (8cm) pots when two true leaves have formed. Handle the seedlings by the leaves to avoid damaging the delicate stem. If you don't want to grow from seed then most Garden Centres will sell plants. 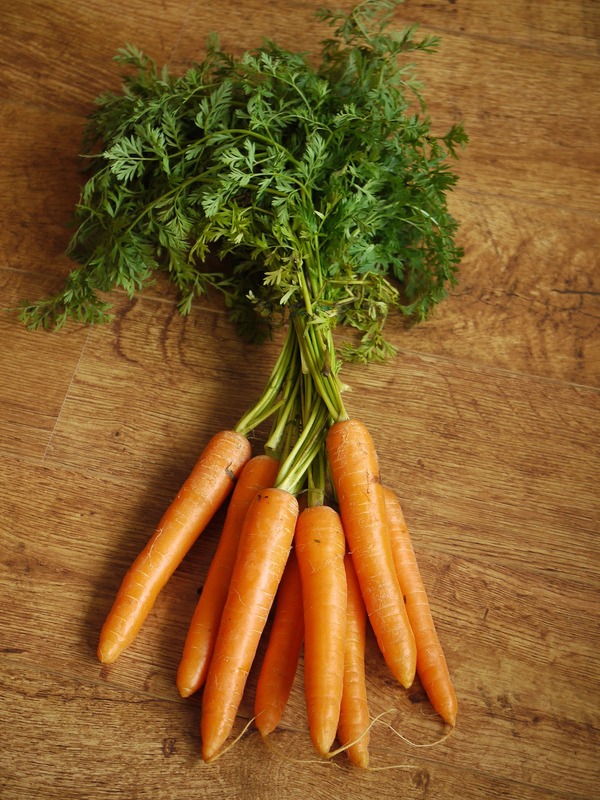 If growing in England this crop is much better being grown in a greenhouse or on a windowsill for as long as possible. If planting in the ground space the rows 18" (45cm) apart with the same distance between plants. The more you prepare the bigger the yield you will get so dig in some well rotted manure. You may also wish to cover the ground with a Easy Poly Tunnel to warm the soil before planting. Once your plants are in position keep them covered with a cloche or a tunnel as they like it warm, but remember to take it off or open it for periods to allow pollination. Peppers grow well in containers and can also be grown in grow bag planters or in the garden as long as it is in a sheltered, sunny spot. Ideally a South or West facing brick wall or fence. Once the roots fill your 3" (8cm) pot transfer plants to 12" (30cm) pots of good compost. Do this in mid-May (heated greenhouse), late-May (unheated greenhouse) or June if growing outside. Pinch out the growing tips of chillies when they are about 12" (30cm) tall to encourage bushiness. Watch the plants as the fruits begin to grow. If fruit becomes heavy then stake and tie plants in to prevent breakages. Also, if growing in a greenhouse the leaves can become scorched so watch out for this and open vents and shade as appropriate if the temperatures start to soar. As with all plants regular water is vital so make sure you keep the moisture levels as constant as you can. Once flowers form start feeding with a fertiliser suitable for tomatoes e.g. a high potash liquid fertiliser with seaweed. Feed every 10 days as you water. Harvest August to November. Expect to harvest between 3 and 8 peppers per plant. Start to pick the fruit when it is large, green and has a glossy sheen. If you prefer sweeter peppers then leave it on the plant to mature but this will reduce yield. If you still have peppers on the plant when the frosts arrive then dig up the whole plant. Hang it upside down in a shed or greenhouse to allow the fruit to continue to ripen. Once harvested, if kept cool, bell peppers can store for up to 3 weeks once picked. This entry was posted in Grow At Home and tagged Rootrainers, Compact Rapid Rootrainers, grow your own, seedlings, grow your own food, allotment, GYO, seeds, bell peppers, capsicum, sweet peppers, peppers, Capsicum annuum, red peppers, green peppers, yellow peppers, orange peppers, purple peppers, grow your own peppers, grow your own advice, gardening advice on 5th March, 2019 by sarah talbot. I have an update for those of you following my early broad bean experiment (Original blog post). Firstly to recap, this is a new and rather different method of growing broad beans in Haxnicks Vigoroot Pots, Growlite and Water Saucers. You will recall I sowed the beans in December. Possibly much too early for broad beans but I like to experiment. Then I kept them permanently indoors on large, bright windowsills. They must have liked the conditions as they soon began to grow. The Haxnicks Water Saucers meant watering was a fortnightly task so very low maintenance. I just checked the water reservoir and topped up as needed. The integrated wicks did their job taking the water and food directly to the plant on demand. The next challenge was the lack of pollinators in the house, and generally around this early in the year. So I stepped in with my soft paint brush and gently dusted the flowers to transfer the pollen. Then it was a waiting game to see if the pollination had worked. Pretty soon the flowers fell away and the swelling of the bean pods could be seen. As often happens with these experiments we didn't quite get it right. We didn't pollinate quite as many flowers as we should have done meaning that the crop is a little smaller than expected. Still enough to make a great meal, with more to follow, and we now know that we just need to do a bit more brush work next time. In conclusion the experiment was a success and it is possible to have home grown broad beans on your table by May 1st. This entry was posted in Grandpa Haxnicks and tagged Vigoroot, Allotments, growing courgettes, grow your own, vegetables, broad beans, beans, veggies, peas, allotment, GYO, organic food, self watering, veg growing, home grown, courgettes on 11th May, 2018 by sarah talbot.